POLK COUNTY, Tex. – Five people were found dead from apparent gunshot wounds at a home in Texas Monday morning. 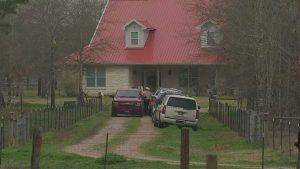 Texas investigators say five people were killed Monday in a shooting in at a home in Blanchard. Officials said all five people were found dead around 10:30 a.m. about 80 miles north of Houston. Multiple agencies are assisting with the investigation, including the Polk County Sheriff’s Office and the Texas Rangers. At this time, it is not clear what led up to the shooting, but police say they are not searching for a suspect.